PARIS (AP) — The head of the U.N. education agency says schools are ground zero in the fight against anti-Semitism and extremist violence — and she will push world leaders meeting in New York this week to invest more in teaching tolerance. Azoulay’s own organization — the first U.N. body to admit Palestine as a member — has long been riven by sectarian anger, divisions she has worked to mend since taking the helm last year of the Paris-based United Nations Educational, Scientific and Cultural Organization. At the U.N., she will co-host a meeting on fighting anti-Semitism and other discrimination through teaching about different religions and cultures. “It will exhort the member states to mobilize to promote education as a lever of prevention of racism and discrimination, and by extension, violent extremism,” she said. UNESCO has drawn up made-to-measure guides for educators in different countries, notably addressing anti-Semitism and anti-Muslim attitudes. But the U.N. body can’t force governments to use them, and it is especially difficult in poor countries to ensure uniform teaching messages. 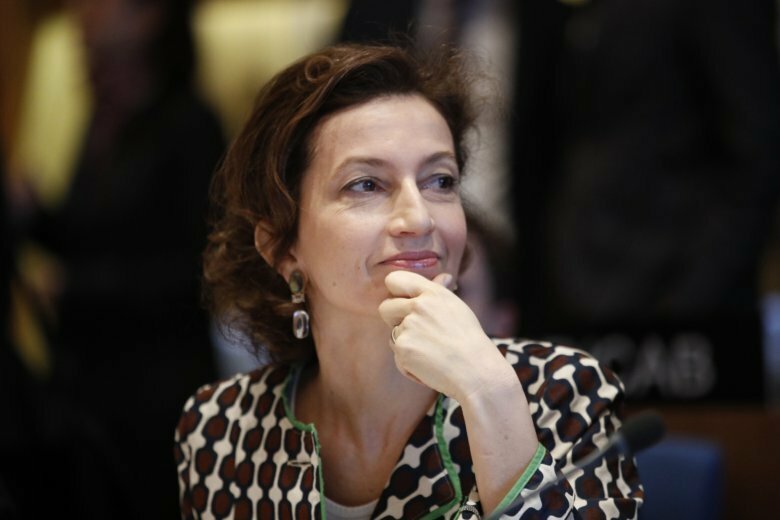 Diplomats at UNESCO praise Azoulay’s efforts to overcome Arab-Israeli tensions within UNESCO, and some say her Moroccan-Jewish heritage helped her earn respect on both sides, though she doesn’t bring it up publicly. She says she’s just trying to clear the air so that UNESCO can get more work done. “Since I took office, we have committed to an effort to mediate the political tensions that weighed on the good work of the institution,” she said. The Palestinian membership vote in 2011 gutted UNESCO’s finances and led to U.S. President Donald Trump’s decision to quit. In some ways, Azoulay is the antithesis of Trump. She courts both Israelis and Palestinians, wants more public spending on education and culture, and says countries should set aside self-interest and work together to solve the world’s problems. Azoulay will also work this week to persuade world leaders to get more girls to go to school and stay there, co-hosting an event with Canada, Britain and France called “Leave No Girls Behind.” Some 17 million girls around the world are expected to never enter school, and millions more drop out early. UNESCO worked with other agencies to publish a guide this year for schools and governments on sexual education, and has worked to fight discrimination against LGBT students.